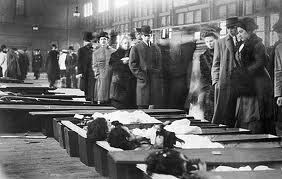 In researching garment worker conditions in 1911 for my next novel, I came upon a list of the victims of the March 25, 1911 Triangle Shirtwaist Factory Fire in New York City and can’t get it out of my head. Read the litany of the 146 dead slowly, picturing the names and young ages of these workers. Some have notes: tiny windows to the particularities of their tragedies. Just the facts: Managers had locked the doors to prevent pilfering and authorized exits, a common practice at the time. When fire broke out, the trapped workers, mostly children and young women, leaped from the 8th, 9th, and 10th floor windows. Most died. It is the fourth largest industrial tragedy of this country, and the second largest in NYC until 2001. It is good to remember the labors of unions, particularly the ILGWU, OSHA and groups like Jobs with Justice that work so hard for worker safety. The list is from the University of Missouri, Kansas City pages on the tragedy. The images of the last four identified victims (not in the list below) are from the New York Times, “100 Years Later, the Roll of the Dead in a Factory Fire is Complete,” February 20, 2011. Bellotta, Ignazia, Father identified by heel of shoe. Bierman, Gussie, 22, Parents complained body stripped of rings. Dorman, K, Identified by registered letter. Feicisch (Feibish), Rebecca, 17, Died at hospital after jumping. Fitze, Mrs. Dosie Lopez, 24, Survived jump for day, then died. Harris, Esther, 21, Broke back coming down elevator chute. Kupla, Sara, Jumped. Survived five days after fire. Leventhal, Mary, 22, Identified by gold-capped tooth. Maltese, Catherine, Mother of two victims below. Maltese, Lucia, 20, One of three bodies identified by her brother. Manofsky, Rose, 22, Died at Bellevue Hospital. Miale, Bettina,18, Identified by ring on her finger. Nussbaum (Nausbaum), Sadie, 18, Lower half of body consumed by flame. Oringer, Rose, Died at St. Vincent’s Hospital. Rosen, Israel, 17, Sister identified body by ring. Rosen, Julia (widow), 35, $842 found in her stocking. Salemi, Sophie, 24, Identified by a darn in her stocking. Schwartz, Margaret, Named victim in criminal case. Terdanova (Terranova), Clotilde, 22, Only victim to die on tenth floor; jumped. Velakowsky, Freda(Freida), 20, Survived jump for 3 days, then died. Wilson, Joseph, 21, Found by fiance; to have been wed in June. Zeltner, 30, Died of internal injuries at St. Vincent’s. I’m sure you know this already, but there is a remarkable project commemorating those who died in the Triangle Factory Fire. Every March 25, volunteers chalk the names, ages and death date of every person who died in the fire, in front of the places where they lived, all across the city. I live on the lower east side, and as I walk the streets today, I see their names, block after block after block. Bill, what a powerful project. Yet OSHA continues underfunded and under-powered. In Tennessee, where I live, so many workers die on unsafe projects in the public and private sector. Thank you for sharing! This is so sad and I feel bad for all the families and friend of the victims.